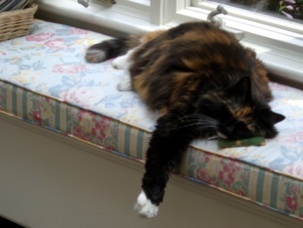 So many in their lives are tempted to complete a career then, like our cat Georgia, photoed above, chill out and let the rest of life just slide by. Bing and I have not elected to follow that course. BON COURAGE and the books following it are our new careers, new challenges and goals to pursue. Life must move on, to be lived to the fullest.